'Becoming' is a very special weekend retreat carefully crafted by Melissa Jeffcott and Mariam Issa. Two very different women, united by a desire to bring more love into the world, and passionate about helping women discover their innate potential and ability to become the women they truly want to be, no matter what stage of life they are in. This is an intimate retreat for only SIX women plus Mariam and Melissa, and from the moment you enter the exclusive property on Friday afternoon, until your departure on Sunday afternoon, you will feel deeply cared for, supported, and nurtured. What a beautiful opportunity to deepen the connection with yourself and explore becoming the woman you were always meant to be. 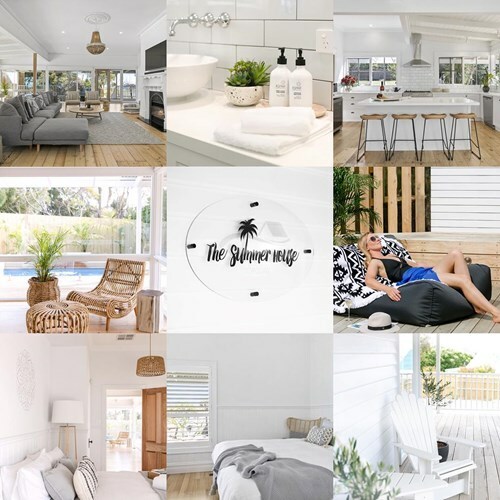 The Summer House Torquay is a stunning house house specifically designed for retreats on the outskirts of the beach township of Torquay about an hours drive from Melbourne. See The Summer House for more photos and information about this incredible property situated in a truly beautiful part of the world. Friday: Arrive from 5pm and make yourself at home before a Welcome Circle where you will get to meet and connect with the other women. This will be followed by a very special cooking class gathered around the kitchen bench with a glass of wine, as Mariam Issa takes us on a gastronomic journey of storytelling, exotic smells, and taste, creating an amazing East African feast for us to enjoy. Mariam no longer offers cooking classes to the general public, so this is a treat indeed! Saturday: We start our very special day together with an optional early morning meditative nature walk with Mariam, followed by breakfast then our 'Belonging' Circle where we will talk about how we belong...in our relationships, our community, and this planet we call home. After a delicious lunch, it is time for Qaylula, a period of stillness, rest and dreamtime, before Melissa gathers us to "Awaken the Wisdom Within" a sacred circle experience of the transformative journey a woman goes on in her lifetime. We then reconvene for dinner followed by a Full Moon Ceremony outdoors around the fire, where we consciously let go of that which no longer serves us, what a powerful way to end an incredible day! 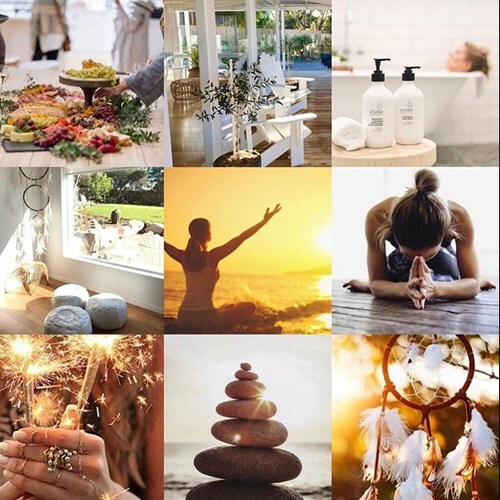 Sunday: On our final morning together, we will enjoy a beautiful guided meditation with a Reiki healing by Melissa in the Summer House Yoga studio. After breakfast, there is time for an optional self guided nature walk, or simply relax in the divine surrounds of The Summer House. After a delicious grazing platter for lunch, the weekend will finish with our closing circle "Becoming' where we will celebrate you becoming the woman that you are today in all your perfect imperfection with a very special ceremony. Accomodation for 2 nights in deluxe shared twin king rooms (all linen and luxury bathroom products) Please note that there is a shared bathroom and separate toilet. All meals from Friday Dinner to Sunday lunch (wine included with dinner) & healthy snacks in between (please notify in advance with any dietary requirements). All activities and materials including facilitated circle time, cooking class, guided walks, and yoga. Am I able to pay in instalments? If you would rather pay 50% now and 50% a month prior to the retreat, please order the HALF NOW, HALF LATER ticket above, and I will be in contact closer to the weekend. What if I buy a ticket, and then can no longer attend? Unfortunately there will be no refunds, however your space is fully transferable. Please email me and I will endeavour to help in this regard. I am interested in attending, but cannot make this date, will you be running more weekends in the future? Please email me at melissa@melissajeffcott.com and I will add you to my email list to be notified of future retreats. Melissa Jeffcott is a Certified Life Coach, Sacred Space Holder, and Workshop Facilitator. Melissa regularly runs Women's Circles and wellbeing workshops in Bayside Melbourne, for both women and tween/teen girls, and is passionate about marking and celebrating the transitions that occur over a woman's lifetime. Mariam Issa is a Speaker, Author, Storyteller, Life Coach, and Community Builder. 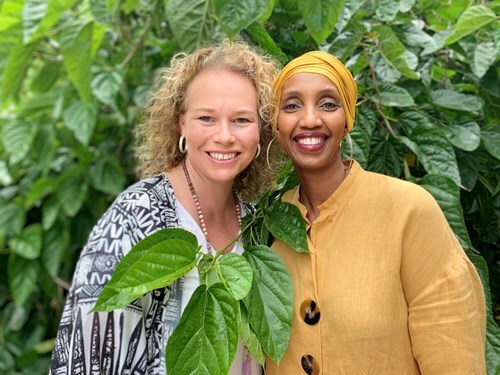 She is the co-founder of RAW (Resilient Aspiring Women), a not-for-profit organisation that supports women’s resilience through intercultural dialogue and exchange facilitated by storytelling, cooking and gardening. For more information email melissa@melissajeffcott.com with any questions you may have.